Boeing says it plans to cut its monthly 737 aircraft production by nearly 20 percent in the wake of two deadly crashes, signalling it does not expect aviation authorities to allow the plane back in the air anytime soon. Chief Executive Officer Dennis Muilenburg said on Friday that the company now knows that a chain of events caused both disasters, with erroneous activation of so-called MCAS anti-stall software "a common link" between the two. The group will "recommend improvements to our policies and procedures" for its 737 MAX and other airplane programmes. 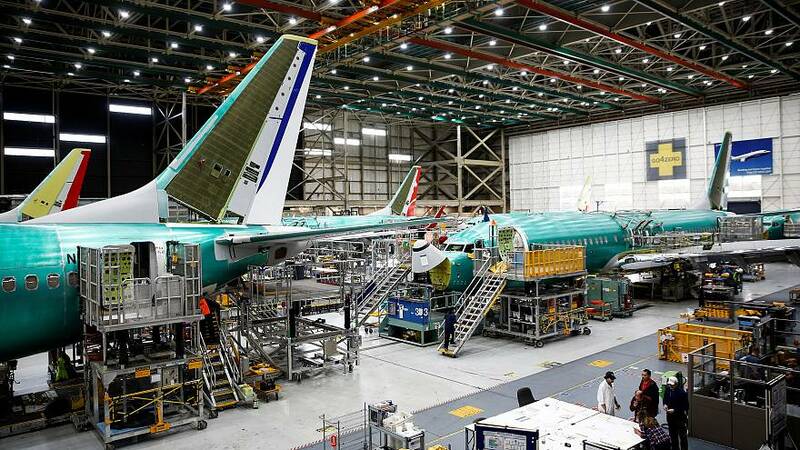 Boeing had been planning to speed up production in June to 57 a month. National Transportation Safety Board chairman Robert Sumwalt told reporters that U.S. investigators were given the raw data from Ethiopian Airlines Flight 302 as soon as it was read in France last month. He added that the Ethiopian Airlines 302 preliminary report "was very thorough and well done."